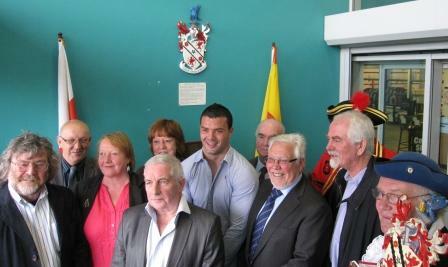 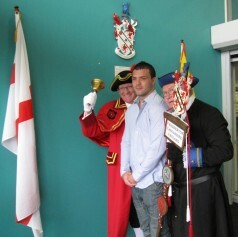 Chadderton born Chris Bridge, an international rugby player, did the honours of unveiling the coat of arms at Chadderton Wellbeing Centre. 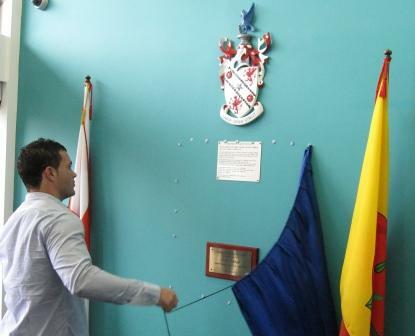 The 26-year-old half-back, who plays for Warrington Wolves, revealed the new emblem which was commissioned by the Culture and Heritage Working Group of Chadderton District Partnership. 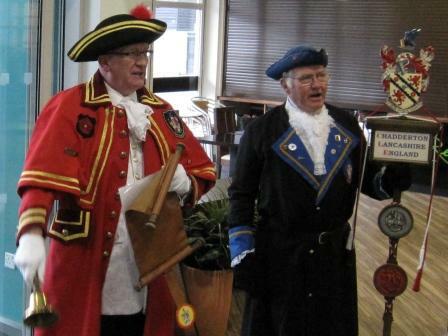 Town crier Reg Lord performed a pronouncement before the new wooden coat of arms, which has a sign next to it explaining its symbolism.